Another bizarre scientific breakthrough in human history was made possible, thanks to microbiologist Christina Agapakis and artist Sissel Tolaas. As their entry for an exhibit at the Science Gallery in Dublin, the two decided to make cheese out of microbes grown from human skin. The said cheese was infused, not only with bacteria from the human toe but also with bacteria from armpit and belly button, complete with the donor’s body odor. Agapakis collected bacteria samples from various body parts of the subjects, then grew and yeast them in the lab. When there were enough samples, milk was added, then spoiled using Lactobacillus. 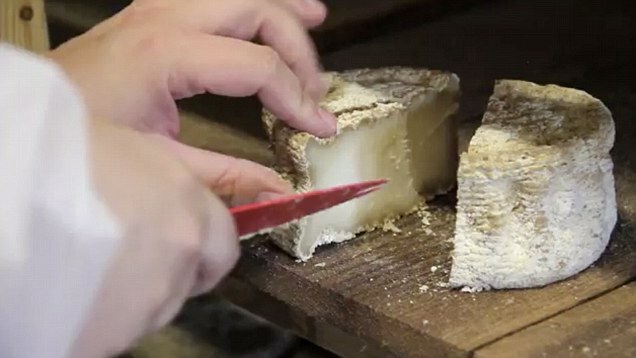 Once it curdled, the clumps were separated and different varieties of cheese were made. According to an article in NPR, Agapakis stated that "People were really nervous and uncomfortable, and kind of making these grossed out faces. Then they smell the cheese, and they’ll realize that it just smells like a normal cheese." However, the creators said that this kind of cheese isn't for consumption. "This isn't cheese for eating. This is cheese for thinking," Agapakis told Pop Tech.